Department of Pharmacy, Institute of Medicine, Maharajgunj, PO Box: 1524, Kathmandu, Nepal. ABSTRACT: Recent advances in novel drug delivery aims to enhance the safety and efficacy of drug molecule by formulating a convenient dosage form for ease of administration and to achieve better patient compliance. One such approach is oral disintegrating tablets. Oro-dispersible tablets are a suitable means of drug delivery system for better patient compliance, rapid onset of action, increased bioavailability. The purpose of the present research was to formulate and evaluate the mouth disintegrating tablets of metoclopramide hydrochloride. Metoclopramide hydrochloride was used as the active drug, and superdisintegrants like sodium starch glycolate (SSG), crospovidone (CP) and croscarmellose sodium (CCS) were used in the formulation. A total of 7 formulations were fabricated using a direct compression method. The amount of superdisintegrants was varied in each formulation. All the formulations were subjected to pre and post compression parameters. Preformualtion stability study was done to ensure the drug-excipient compatibility study. The effect of superdisintegrants on wetting time, disintegration time and dissolution profile were evaluated. Among the formulated batches, the formulation containing CP 5% and CCS 5% was the most effective and showed disintegration time of 26 seconds and dissolution of 104.02% in 10 min. The study showed that the superdisintegrants were effective in lowering the disintegration time of orodispersible tablets. The formulations containing CP showed better drug release pattern than the formulations with other superdisintegrants in the formulation of orodispersible tablets of metoclopramide hydrochloride. INTRODUCTION: Orally disintegrating tablets are also called as orodispersible tablets, quick disintegrating tablets, mouth dissolving tablets, fast disintegrating tablets, fast dissolving tablets, rapid-dissolving tablets, porous tablets, and rapid melts. However, the United States pharmacopeia (USP) approved these dosage forms as ODTs. United States Food and Drug Administration (FDA) defined ODT as “A solid dosage form containing the medicinal substance or active ingredient which disintegrates rapidly usually within a matter of seconds when placed upon the tongue.” The disintegration time for ODTs generally ranges from several seconds to about a minute 1. Dysphasia is a common problem encountered in all age groups in concern to solid dosage forms, which results in a high incidence of noncompliance and ineffective therapy. In more recent years, increasing attention has been paid to formulating not only fast dissolving and disintegrating tablets that are swallowed, but also orally disintegrating tablets that are intended to dissolve and/or disintegrate rapidly in the mouth. ODTs are useful in patients, such as pediatric, geriatric, bedridden, or developmentally disabled, who may face difficulty in swallowing conventional tablets or capsules and liquid orals or syrup leading to ineffective therapy, with persistent nausea, sudden episodes of allergic attacks, or coughing for those who have an active lifestyle. Their characteristic advantages such as administration without water, anywhere, anytime lead to their suitability to geriatric and pediatric patients. They are also suitable for the mentally ill, the bedridden, and patients who do not have easy access to water. The benefits, in terms of patient compliance, rapid onset of action, increased bioavailability, and good stability make these tablets popular as a dosage form of choice in the current market 2. The basic approach used in the development of oro-dispersible tablet is the use of superdisintegrants. Disintegrants are substances or mixtures of substances added to the drug formulation that facilitate the breakup or disintegration of tablet or capsule content into smaller particles. Superdisintegrants are generally used at a low level in the solid dosage form, typically 1-10% by weight relative to the total weight of the dosage unit. Various natural disintegrants like gum karaya, mucilage of Plantago ovata, agar, modified starch and synthetic disintegrants like microcrystalline cellulose, crospovidone, croscarmellose sodium, sodium starch glycolate, etc. have been used in the formulation of fast dissolving tablets. In the recent past, several new advanced technologies have been introduced for the formulation of mouth dissolving tablets (MDTs) with very interesting features, like extremely low disintegration time, exceptional taste masking ability, pleasant mouthfeel and sugar-free tablets for diabetic patients. Among them, the easiest way to manufacture orodispersible tablets is direct compression. Low manufacturing cost, conventional pieces of equipment and a limited number of processing steps lead this technique to be a preferable one 3. Metoclopramide hydrochloride is a derivative of para-aminobenzoic acid; metoclopramide HCl occurs as an odorless, white, crystalline powder. Metoclopramide is an antiemetic and gastroprokinetic agent. It gives quick relief to vomiting patients. It can diffuse and partition into the epithelium of the upper GIT. Moreover, chemotrigger zone (CTZ) is situated in the upper part of the body and ODT of metoclopramide can show quick action due to better and fast absorption from the upper part of GIT 4. Oral tablet formulations of metoclopramide are effective therapies for gastroparesis and gastro-oesophageal reflux disease; however, difficulty swallowing tablets or nausea/vomiting may reduce patient adherence to therapy. Because of this, metoclopramide ODT has been developed. In the current work, orodispersible tablets of metoclopramide hydrochloride were prepared by direct compression method using Cross carmellose sodium, sodium starch glycolate, and crospovidone as the superdisintegrants. The study aimed to evaluate the effect of the superdisintegrants on wetting time, disintegration time and drug release profile of the orodispersible tablets. MATERIALS AND METHODS: The study was carried out in the year 2015 at Chemi- Drug Industries Pvt. Ltd., Kathmandu, Nepal. Materials: Metoclopramide hydrochloride was used as an active pharmaceutical ingredient and SSG, CP and CCS were used as the superdisintegrants using the maximum concentration as mentioned in the Handbook of pharmaceutical excipients. Lactose and microcrystalline cellulose (MCC) were used as the diluent or binder. The pineapple was used as flavor and sodium saccharine as the sweetener. Talc and magnesium stearate was used as the lubricant and glidant. All the raw materials and reagents used were of analytical grade and obtained from Chemi-Drug Industries Pvt. Ltd, Kathmandu Nepal. a. 25 ºC and 60% relative humidity, e. room temperature, plugged. b. 40 ºC and 75% relative humidity, plugged. c. 40 ºC and 75% relative humidity, unplugged. Humidity chamber was used to maintain the required condition 5. It was checked for physical compatibility (color, state, and odor) every week for a month. Preparation of Orodispersible Tablets of Metoclopramide Hydrochloride: The composition of a different formulation of metoclopramide hydrochloride orodispersible tablets are shown in Table 1. Direct compression technique was adopted for the preparation of ODTs because it is the easiest and convenient tableting technique. A batch of 200 tablets was prepared for all the designed formulations. All the ingredients were passed through # 60 meshes separately. Then, the ingredients were weighed accurately and mixed thoroughly in a poly bag for about 5 min to achieve complete mixing. First of all, API was mixed geometrically with superdisintegrants and then diluents and binders The obtained blend was lubricated with magnesium stearate along with the addition of talc, aerosol and flavor and mixed for another 2 min, and the resultant final blend was directly compressed into tablets using mini rotary tableting machine with punches of 7 mm. Before tablet preparation, the final blend was also subjected to pre-compression parameters like angle of repose, compressibility index, bulk density, tapped density, and Hausner’s ratio 6. Evaluation of Formulated Tablets: The formulated tablets were evaluated for the parameters like appearance, thickness and diameter, hardness, weight variation, friability, disintegration test, dispersion test, wetting time, water absorption ratio, content uniformity, drug content and in- vitro dissolution. Wetting Time: A piece of tissue paper of thickness 0.11 mm was placed in a culture dish (d = 10 cm) containing 10 ml of simulated saliva (phosphate buffer pH 6.8). A tablet was carefully placed on the surface of tissue paper and the time required for the buffer to reach the upper surface of the tablet was noted as the wetting time 7. In-vitro Disintegration Time: The in-vitro disintegration time was determined using the disintegration test apparatus. One tablet was placed in each of the six tubes of the apparatus, and one disc was added to each tube. The time in seconds taken for complete disintegration of the tablet with no palatable mass remaining in the apparatus was measured in seconds. Tablet was added to phosphate buffer solution pH 6.8 (which correlate pH of saliva) at 25 ± 0.5 °C. The time required for complete disintegration of the tablet was noted 8. In-vitro Dissolution Studies: In-vitro dissolution studies for all the fabricated tablets was carried out by using USP Type II apparatus at 50 rpm in 900 ml of phosphate buffer pH 6.8, maintained at 37 ± 0.5 ºC. 5 ml of the aliquot was withdrawn at the specified time intervals, filtered through Whatman filter paper and assayed spectrophotometrically at 309 nm using Shimadzu 1700 spectrophotometer. An equal volume of fresh medium, which was pre-warmed at 37 ºC was replaced into the dissolution medium after each sampling to maintain the constant volume throughout the test. Dissolution studies were performed in triplicate 9. Drug-Excipient Compatibility Study: The vials were kept as mentioned under different conditions. No significant changes were seen when observed physically for 4 weeks. There were no changes in the odor, color, and state of the mixture. The result showed that the excipients are compatible with the API under normal and accelerated conditions. Hence, those excipients were used in the formulation of Metoclopramide hydrochloride oro-dispersible tablets. Evaluation of Pre-Compression Powder: The results showed that the formulations had good and fair flow properties. The Carr’s index was found to be less than 20% (17.95 ± 0.73), and Hausner’s ratio was found to be between 0-1.25(1.21 ± 0.01) which denotes that the powder had good flow properties. 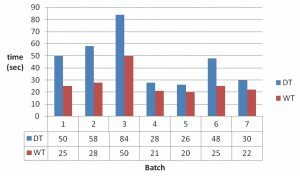 Evaluation of Physicochemical Properties of Formulated Tablets: All the formulations fabricated were subjected to physical and chemical evaluation. The entire formulated product’s average weight was found to be in between 0.170 ± 0.004 to 0.179 ± 0.005mg, which was found to be within the IP range. The average thickness of the tablet was found to be 3.69 ± 0.02 to 3.78 ± 0.03 mm, and the diameter was found to be 7.08 ± 0.00 to 7.08 ± 0.01 mm. The hardness of the fabricated tablets was found to be in the range of 5.20 ± 0.98 to 5.63 ± 0.36 kg/cm2. Friability of all the formulations was less than 1% within the limit as per IP. The content uniformity of the tablets was within the limit, i.e. 85-115%, and the assay was also within the limit, i.e. 90-110%. Other results are shown in Table 2. Combination of Superdisintegrants and Their Effect on Disintegration and Wetting Time: The result is shown in Fig. 1. Among the above formulations, batch no. B5 with CP 5% and CCS 5% was found to be the most effective with DT 26 sec and wetting time 20 sec. Also the same showed good water absorption ratio of 97.67% with a dispersion time is the lowest among all, i.e. 39 sec. The results showed that CP was superior in showing disintegration action than SSG and CCS. In a study conducted by Hussam et al., CP was found to be the best superdisintegrant with a concentration of 40 mg/tab 10. In a study carried out by Satpute et al., SSG, CCS, and CP were employed as the superdisintegrants for the formulation of metoprolol mouth dissolving tablets. Based on the in-vitro disintegration time, a formulation containing 6.6% crospovidone was found to be promi­sing and showed a dispersion time of 18 sec and wetting time of 28 sec, facilitating faster dispersion in the mouth. The same formulation displayed a good water ab­sorption ratio of 87.91%, indicating better and faster swelling ability of the disintegrants in the presence of a small amount of water. The faster disintegration of crospovidone tablets may be attributed to its rapid capillary activity and pronounced hydration with low capacity for gel formation. Thus, these results suggest that disintegration times can be reduced by using a wicking type disintegrant (crospovidone) 11. When examined under a scanning electron microscope, CP particles appear granular and highly porous. This unique, porous particle morphology facilitates wicking of liquid into the tablet and particles to generate rapid disintegration. Due to its high crosslink density, CP swells rapidly in water without gelling. Other superdisintegrants have a lower crosslink density and, as a result, form gels when fully hydrated, particularly at the higher use levels in orally disintegrating tablet formulations. Crospovidone quickly wicks saliva into the tablet to generate the volume expansion and hydrostatic pressures necessary to provide rapid disintegration in the mouth. Unlike other super disintegrants, which rely principally on swelling for disintegration, Crospovidone superdisintegrants use a combination of swelling and wicking 12. In a study carried out by Thatikonda et al., the disintegration time was reduced to 21 sec on increasing the concentration of CP 10. Unlike other superdisintegrants which are either poorly compressible or non-compressible, CP as a disintegrant is highly compressible as a result of unique particle morphology. In contrast to SSG and CCS, CP superdisintegrant exhibits virtually no tendency toward gel formation, even at high use levels. Disintegrants that gel can result in orally disintegrating tablet and chewable products with an unpleasant, gummy texture. CP provides the best overall sensory experience as well as rapid disintegration and robust 13. Thus, we see the formulations with CP have shown effective disintegration and wetting time. Combination of Superdisintegrants and Their Effects on % of Drug Release: The result of in- vitro dissolution study has been listed in Table 3 and Fig. 2 explains the dissolution profile. Among the above formulations prepared by the hit and trial method, batch no. 5 with CP 5% and CCS 5% was found to be the most effective with dissolution 104.02% in 10 min. The results showed that CP was superior in showing dissolution action than CCS and SSG. In a study carried out by Thatikonda et al., the release of drug from crospovidone based tablets was rapid and more than sodium starch glycolate, croscarmellose sodium based tablets 13. The formulations containing crospovidone (20%, 25%, and 30%) showed lowest disintegration time, wetting time, dispersion time in a study carried out by Deshmukh et al. All the formulation released more than 80% of drug within 10 min which prove its fast dissolving action. Based on dissolution rate superdisintegrants were ranked as Crospovidone > Sodium starch glycolate > Croscarmellose sodium. Among all the formulated tablets, a formulation which is based on Ondansetron with 25% crospovidone showed good compressibility, flowability and less friability; it also showed less disintegration, wetting time, dispersion time and cumulative percentage release of drug was 99.47% in 10 min 14. CONCLUSION: The orodispersible tablets of metoclopramide hydrochloride were prepared by direct compression method. Various combinations of sodium starch glycolate, croscarmellose sodium and crospovidone were used as the superdisintegrants for formulating the orodispersible. It was seen that the combination of SSG & CP was more effective in decreasing the disintegration time as compared to the single superdisintegrants or the combination of SSG & CCS and CP & CCS. The in-vitro dissolution study showed that the formulation containing SSG (5%) and CP (5%) was more effective in enhancing the rate of drug release from the orodispersible tablets. The comparison of the effect of individual super-disintegrant on the wetting time, disintegration time and dissolution showed that CP was more suitable for the formulation of orodispersible tablets of metoclopramide hydrochloride as compared to other superdisintegrants used in the current study. Hence from the present study, it can be concluded the superdisintegrant CP inappropriate concentration can be used to develop orodispersible tablets of metoclopramide hydrochloride by direct compression method. ACKNOWLEDGEMENT: We are thankful to Chemi-Drug Industries Pvt. Ltd., Kathmandu, Nepal for providing the raw materials and allowing them to research their premises. Also, we would like to thank the Department of Pharmacy, Institute of Medicine for their support throughout the research. Velmurugan S and Vinushitha S: Oral disintegrating tablets- an overview. International Journal of Chemical and Pharmaceutical Sciences 2010; 1(2): 1-10. 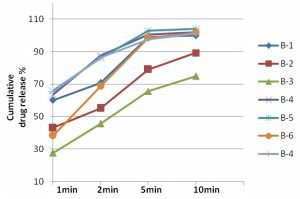 Mahore JG, Wadhe KJ and Umekar MJ: Formulation and in-vitro evaluation of taste masked orodispersible tablet of metoclopramide hydrochloride. International Journal of PharmTech Research 2010; 2(3): 1827-1835. Gupta DK, Agarwal DK, Tyagi S, Gupta R and Sharma KK: Natural & Synthetic Superdisintegrants in FDT: A Review. International Journal of Advanced Research, 2013; 1(6): 576-583. Tripathi KD: Essentials of Medical Pharmacology, Jaypee Brothers Medical Publishers (P) Ltd., Edition 7th, 2013: 659-660. Subaşi B, Vural I, Unlü N and Capan Y: Evaluation of drug-excipient interaction in the formulation of celecoxib tablets. Acta Poloniae Pharmaceutica ñ Drug Research 2011; 68(3): 423-433. Pahwa R, Piplani M, Rao R, and Garg VK: Formulation and evaluation of orally disintegrating tablets- comparison of natural and synthetic superdisintegrants. Scholars Research Library 2011; 3(2): 407-418. 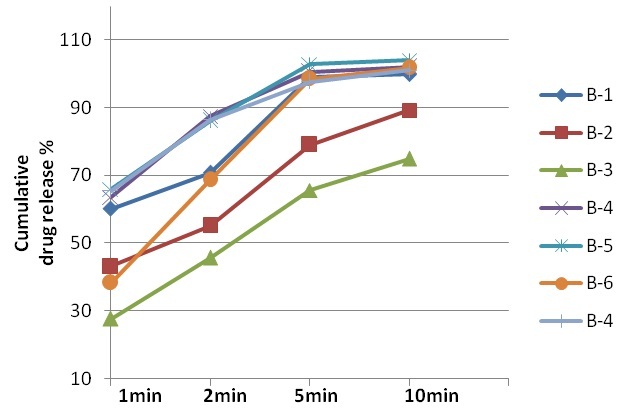 Nagendrakumar D, Keshavshetti GG and Pratibha: Design and evaluation of fast dissolving tablets of metoclopramide hydrochloride using synthetic and natural superdisintegrants. Unique Journal of Pharmaceutical and Biological Sciences 2014; 2(1): 16-25. Thakare VM, Jadhao UT, Chaudhari KP and Mahajan PN: Development of metoclopramide hydrochloride orodispersible tablets using taste masking tulsion Journal of Advanced Pharmacy Education & Research, 2013; 3(4): 480-486. Thatikonda S and Yellanki SK: Design and in-vitro evaluation of orally disintegrating tablets of metoclopramide. International Journal of Pharma and Bio Sciences 2013; 4(1): 424-429. Hussam HT, Rassol AA and Hussain AA: Preparation of a new dosage form of metoclopramide hydrochloride as an orodispersible Iraqi J Pharm Sci 2009; 18(1): 38-48. Satpute M and Tour N: Formulation and in-vitro evaluation of fast dissolving tablets of metoprolol tartrate. Brazilian Journal of Pharmaceutical Sciences 2013; 49(4): 783-792. Mohanachandran PS and Sindhumol PG: Super-disintegrants- an overview. International Journal of Pharmaceutical Sciences Review and Research 2011; 6(1): 105-109. Gupta DK, Agarwal DK, Tyagi S, Gupta R and Sharma KK: Natural & synthetic superdisintegrants in FDT- a review. 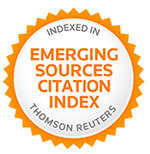 International Journal of Advanced Research 2013; 1(6): 576-583. Deshmukh VN, Zade NH and Sakarkar DM: Development and evaluation of orally disintegrating tablet by direct compression method. 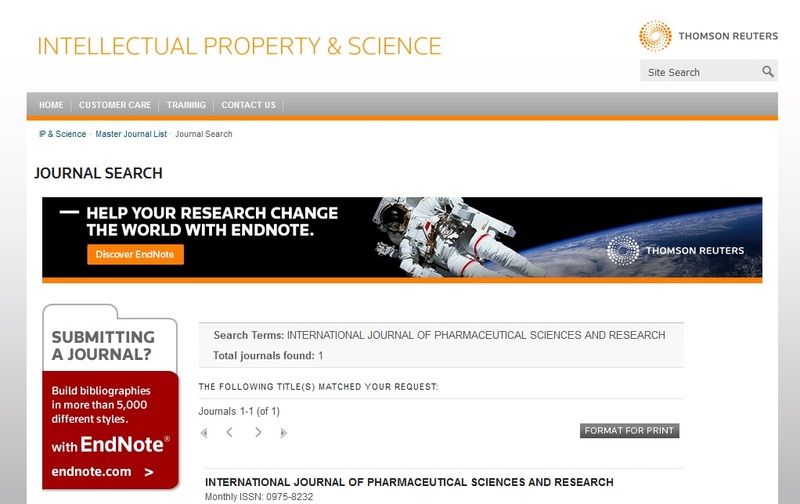 International Journal of PharmTech Research 2012; 4(4): 1351-1357. Adhikari S, Gharti KP and Pandeya S: Formulation and in-vitro evaluation of metoclopramide hydrochloride orodispersible tablets. Int J Pharm Sci & Res 2019; 10(4): 1916-21. doi: 10.13040/IJPSR.0975-8232.10(4).1916-21.